Dr. Z. Erkin is a tenured assistant professor in the Cyber Security Group, Delft University of Technology. He received his PhD degree on “Secure Signal Processing” in 2010 from Delft University of Technology where he has continued his research on Privacy Enhancing Technologies, particularly on Computational Privacy. Dr. Erkin has been involved in several European and national projects one of which is on Blockchain and Logistics Innovations where an unbounded scalable blockchain version with confidentiality is being developed. He is serving also in numerous committees including IEEE TIFS, Eurasip SAT on Information Security, is an area editor in Eurasip Journal on Information Security and Elsevier Image processing. 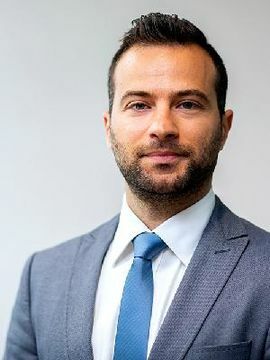 Dr. Erkin is a member of TU Delft Blockchain Lab, also serving as a core member of Cyber Security Next Generation ( CSng), a community of cyber security researchers in the Netherlands and ICT Next Generation ( ICTng). A text on privacy for Amsterdam Security Blog: Do you have nothing to hide? My research is on Computational Privacy: protecting (privacy and/or commercially) sensitive data using cryptographic tools. I am also conducting active research on blockchain: fundamental research around consensus algorithms, leadership selection, cryptographic building blocks and smart contracts. 3TU Big Software on the Run 2015-2019. Computational Privacy and Distributed Trust, NEC Headquarters, Kawasaki, Japan, May 22. Blockchain as a Disruptive Technology, Fujitsu Labs, Tokyo, Japan, May 14. Blockchain and Self Sovereign Identity, Workshop on Blockchain and Identity, ECID, Soesterberg, The Netherlands, March 15. Distributed Trust and Logistics, Transport and Off-Shore Services, Rotterdam, Feb 21. Co-chair of the Workshop on Privacy Enhancing Technologies and Security Solutions for the Smart Grid User Domain (PRETSELS) to be held in Salzburg, September 2015. Member of the organisation committee of IEEE Workshop on Information Forensics and Security, December 2015, Rome, Italy. I am also acting as a reviewer for the following journals.